You’re always looking for ways to save time and to be more efficient. That’s why you probably have quite a few Android apps that help you accomplish that task. But, have you given Tasker a try? You’ve probably had never heard of it or maybe heard the name here and there, but it’s an app you want to get to know. Getting to know Tasker and how to use tasker for automation can be very helpful and you’ll be glad you learned using Tasker. Tasker is an app that just about every Android user loves and can’t live without. It’s an app that takes advantage of everything Android is capable of doing and just makes life a whole lot easier for you. You can fine tune Tasker app to use it for Android automation. For example, let’s say you want your phone’s Bluetooth to turn on whenever you get in your car. Tasker can make that happen. This is just one of many things Tasker can do for you but since it’s an app that can do so much, how do you use Tasker app? 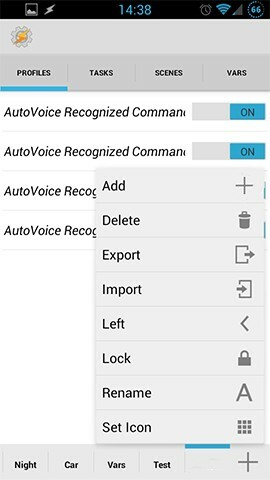 How to Switch Between Beginner and Advanced Mode on Tasker? How to Create a Task in Tasker? How to Disable Auto Brightness using Tasker? How to Lower Display Brightness Using Tasker? How to Lower Display Timeout Using Tasker? How to Turn Off Battery Eating Services Using Tasker? How to Manually Run a Task Using Tasker? How to Associate a Task with Context? Did you Learn How to Use Tasker for Android Automation? Before I show you how to use Tasker, there are some words you’ll need to know the meaning of. They are words you’ll come across a lot while using Tasker app, so it’s a good idea to get to know them first. Scene – It’s a user interface made by you. You create the layout you want, and that includes popups, menus, buttons, and other user interface items. Action – It’s a device function and feature that does something. It can also bring the phone to a certain state. Tasker has 21 categories and can perform more than 200 of these actions. Project – A project is a group of tasks, profiles, variables and scenes. At the bottom of the main screen of your device, you’ll see that each project features its own tab. Alongside a user-defined project name. If you already created projects you can import or even export them. Context – An action that can trigger a task(s) that are associated with it. Variable – An unknown value that can change with time. For example, the date or the battery level could be considered a variable. Profile – An action that triggers a task. For example, it’s like when you were a kid, and your parents told you to do your chores. Your chores are the profile but within the chores are several tasks such as pass the vacuum, take out the garbage, Etc. Task – A task is a group of actions that are usually linked to a trigger. One task can also run within another task. One of the many great things about Tasker is that it takes into consideration both the advanced and the newbie. Depending on what kind of user you are, you can easily choose between the two options. When you first install the app, it automatically shows you Beginner Mode. You’ll also see three tabs; Profiles, Tasks, and Scenes. In Beginner Mode, you’ll also see three buttons at the bottom; Search, Add, and Help. If you’re an advanced Android user, the bottom buttons will change to the default project tab, and Add button, and you’ll also get a fourth tab at the top called Variables (Vars). You can quickly switch to Advance Mode by unticking ¨Beginner Mode¨on the user interface tab on the app’s Preferences page. If you’re in Advanced Mode, when you tap on the default project tab it will open a menu with four buttons. The buttons are Import, Add, Rename, Lock/Unlock and Set Icon. To create a new project, simply tap on the Add button. With the Import/Export buttons, you can share your Tasker project files, or you can use any files others created. There is also the possibility to add custom icons to your project tabs. I’ll show you how you can complete each and every one of the above options using Tasker, one by one. Give your new task a name. You can name it whatever you want but let’s call this one ¨Battery Save¨. Tap on the checkmark button to save everything, and you should now see the Task edit page. Go to Display > Display Brightness and modify the value of Level to ¨0¨. Congratulatulations, you’ve created your first Task. Once it’s been created you have two options; you can run it manually, or you can combine it with a Trigger. If you want, you can also share it by turning it into an APK file so you can install it on other Android devices. It’s very easy to run a Task manually. All you have to do it open the Tasks tab and on the task you want to run, tap the Play button. Time – Tasks will run on the time of day you set up. You can set up a beginning and end time. State – Triggers will run depending on the state of your phone such as the Bluetooth being off or WiFi being connected. The State Context has various sub-categories such as Display, App, Net, Hardware, Plugin, Phone, Sensor, Power, Tasker, and Variables. Remember the Battery Saving task I mentioned earlier? Here’s how you can set it up so it runs automatically. Make sure the From slider is at 0. Here you’re indicating that the battery level has to be between 0-50. Select the Back button to go back once and choose Batt Save from the popup list. This will associate it with the context. You should now see the profile on the Profiles tab. You should also see an On/Off option to the right. If you want Tasker to perform the tasks when the trigger is activated or when the conditions are fulfilled, toggle this option ON. If you want to modify the profile name, long-press on the name and choose the Name button. It’s the option with the upper case A. Rename your profile and tap on the checkmark to save your changes. Below your recently re-named profile, you’ll see the context name and a green arrow that will be pointing to the task that it’s associated with. If you want, the context name can also be renamed. To do that, long-press on the context name, choose Name, Add your new name and tap on the checkmark to save. You’re done! Now when the battery is at the action you set up before, it will run. If you take it one step at at time, it’s not as hard as it may sound. Tasker is one useful app that every Android user should have, but it just may be too complicated for some. If you consider yourself to be an intermediate Android user, give it a try. Do you think you’ll use the Tasker app? Let me know in the comments.